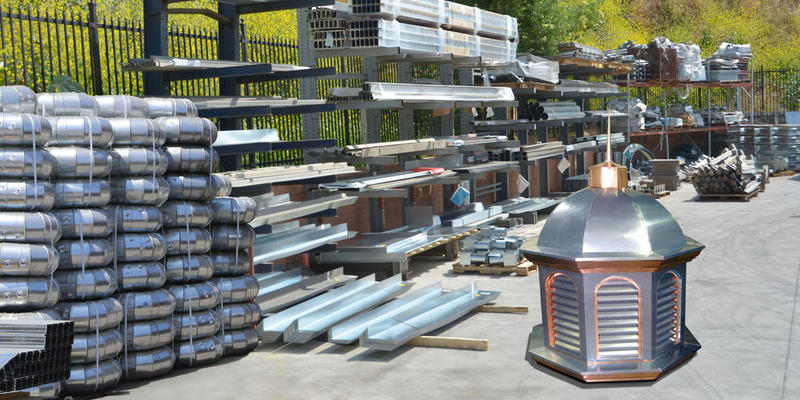 Medsco Fabrication manufactures various general sheet metal, custom sheet metal, and architectural panel’s product catering to the construction industry in Southern California. Medsco began and continues to be a family owned business since 2001. Starting with a small 1,000 sq./ft. facility we began fabricating basic sheet metal products and has since grown into our current 39,000 sq./ft. stand-alone manufacturing plant incorporating the newest automated technology machines providing superior accuracy and increased output. Our Medsco Sheet Metal Fabrication facility has a range of capabilities for processing metals, including: CNC Routing, Laser Cutting, Press Breaking, Roll Forming, Coil Processing, Shearing, Notching, Cutting, Forming, Welding, Custom Assembly, and in-house shipping from Ventura to San Diego County. Medsco manufactures a wide variety of products to meet the specifications of any sheet metal job. The products we currently handle are: Rout and Return Wet Seal/Dry Reveal joint ACM Panels, Break Metal Panels, Roll Formed Panels, Panel Trims, Roof Flashings, Waterproofing Flashings, Chimney Shrouds, Window and Door pans, Louvers, and Mechanical Equipment Platform Covers. Medsco manufactures our sheet metal products using a variety of metals to best suit the situation, such as: Hot/Cold Rolled Steel, Galvanized, Bonderized, Stainless Steel, Pre-painted Steel and Aluminum, Zinc, Copper, Brass, and Bronze. With seventeen years of experience, Medsco provides high quality engineered solutions to meet our client’s needs. Specializing in customized quality products with fast turnaround time, we are committed to bringing only the highest level of customer satisfaction to meet your personalized needs. We provide our clients with dedicated customer service and an expert outside sales team to collaborate on your project requirements. Our mission is to provide our clients professional services that produce exceptional value. We offer a full range of services including delivery to your job site or desired location within the Southern California region. All the more, our trucks are proudly company owned and our attentive drivers are ready to help. At Medsco, we understand that our clients, suppliers, and employees are our most valuable assets and why we continuously strive to develop trusting relationships and excellent communication with all. For more information about our custom sheet metal fabrication, go visit the Medsco website for all your fabrication needs!